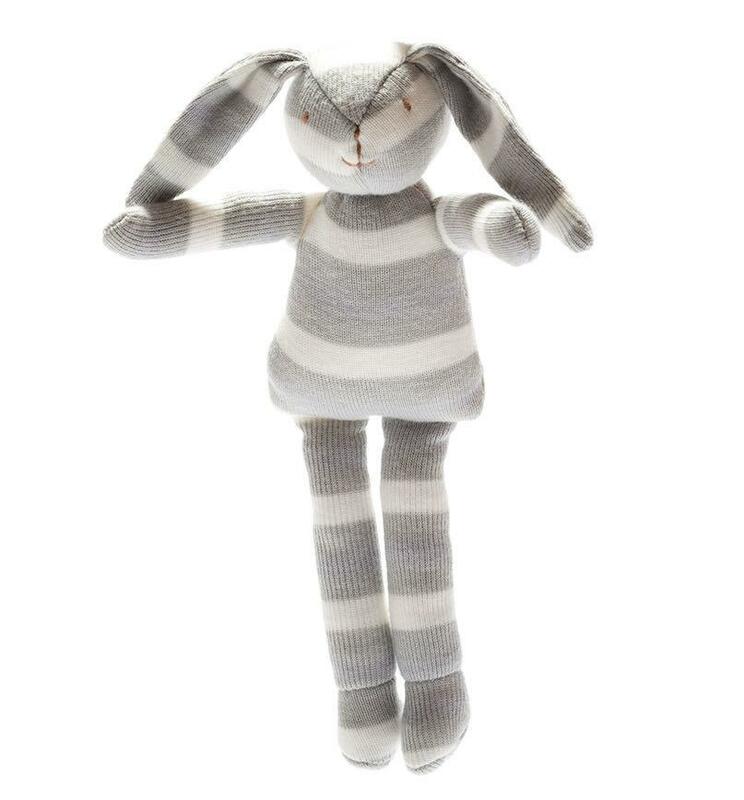 Grey is on trend for baby and nursery products so we are very happy to include our grey stripe in our new family of organic bunny comforters. Small and light enough to go in to the cot with baby he also have floppy ears and arms which are perfect for baby fiddling and chewing. As an added benefit the 100% organic cotton just gets softer and softer with machine washing.